Give a cherished person you love this beautiful personalized Glass Treasure Box as a birthday, holiday or wedding gift. 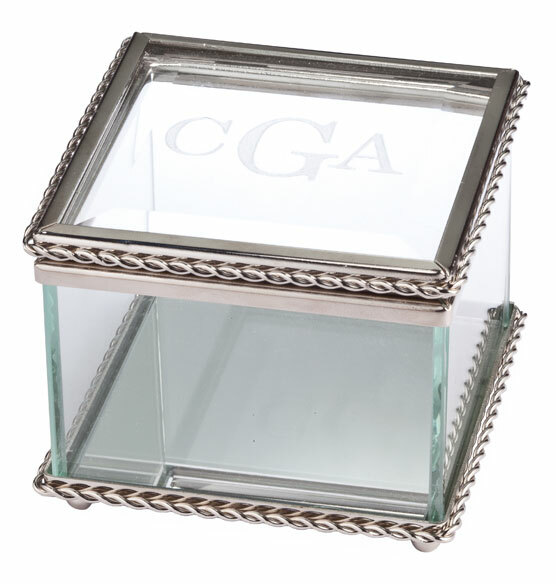 This square-shaped trinket box has a hinged lid for easy opening. 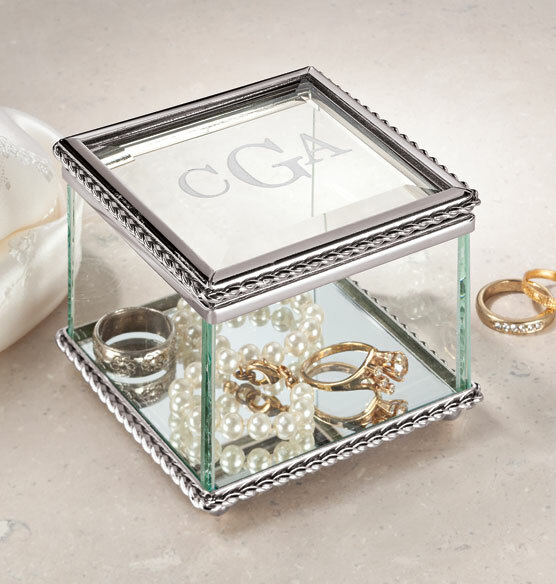 Personalize this keepsake box for her or him with up to three monogrammed initials. The silver-plated trim adds an elegant touch. Personalize with a 3-letter monogram. Specify initials in first, last, middle initial order. Beautiful, simple, and I liked the fact that it could be personalized. Plus, the price was extremely reasonable. For the monogram, is the placement , is it like the picture of the box with the "G" being the last initial, the "C" being first initial and the "A" being the middle initial? BEST ANSWER: Thank you for your question. The initials will be arranged in true monogram order with the first initial first, the last initial second and the middle initial third. We hope this information will be of help to you.